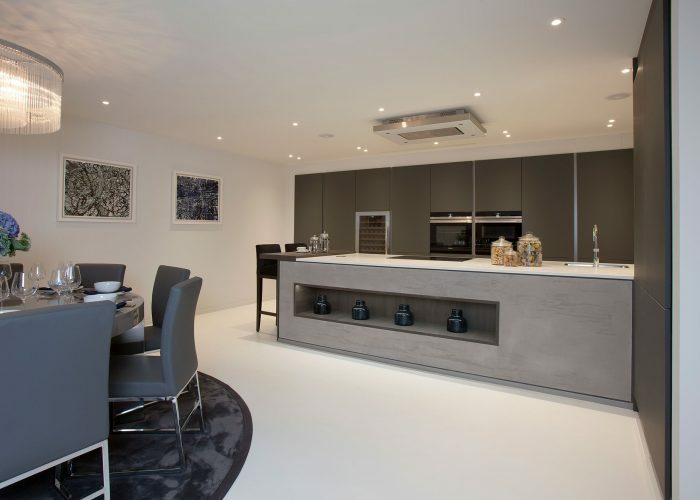 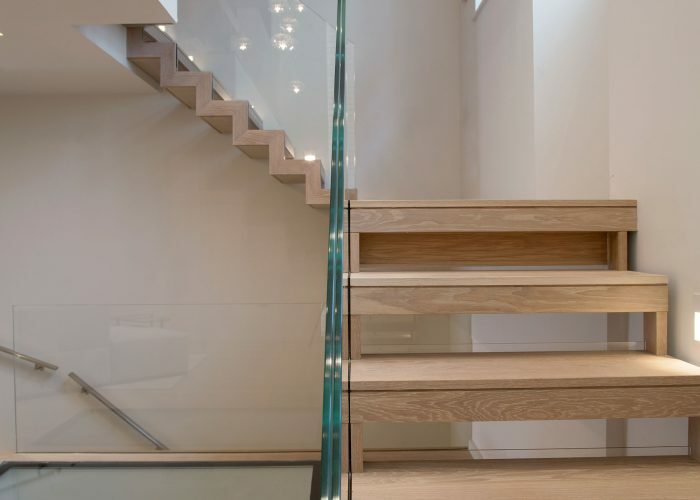 This was a substancial re-development of a mews house that historically formed a row of stables. 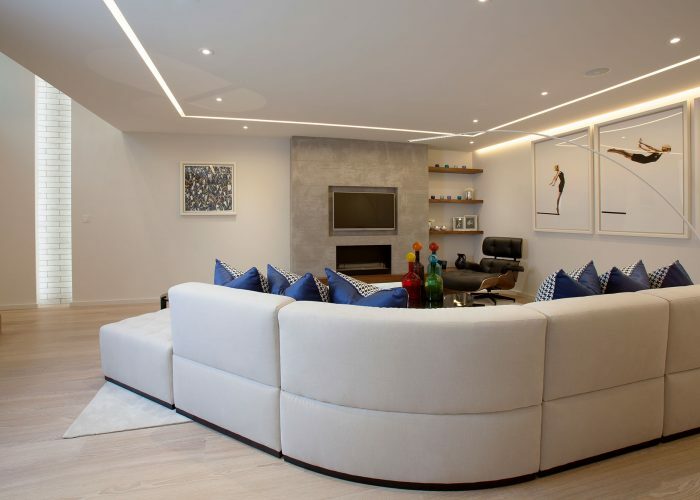 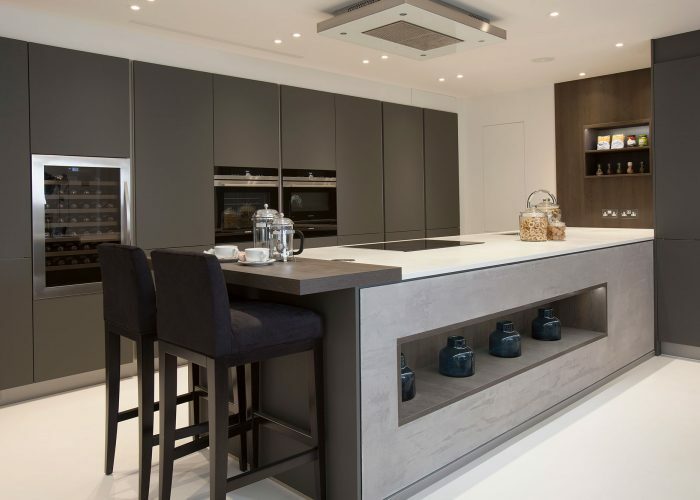 Completed in early August 2016, CNID worked closly with the contractor to ensure the clients vision of a modern, contemporary, loft style interior was bought to reality. 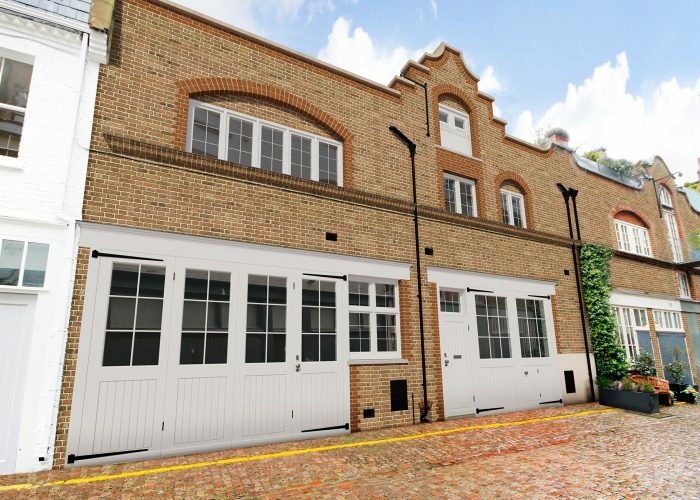 Collaborating with an architectural team we were able to maximise the size of this building to enable it to be split into two separate dwellings, enlarging the existing building by a further 1,300 sq.ft. 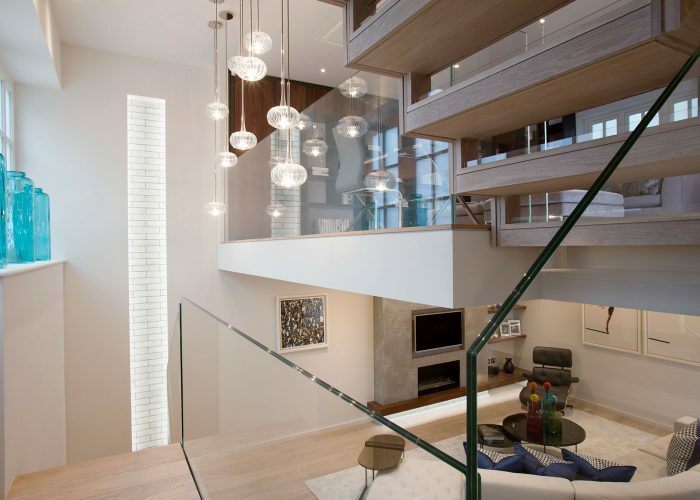 The abundance of glass, cotton white oak flooring and off white & soft grey tones help give the feeling of large spacious open plan rooms. 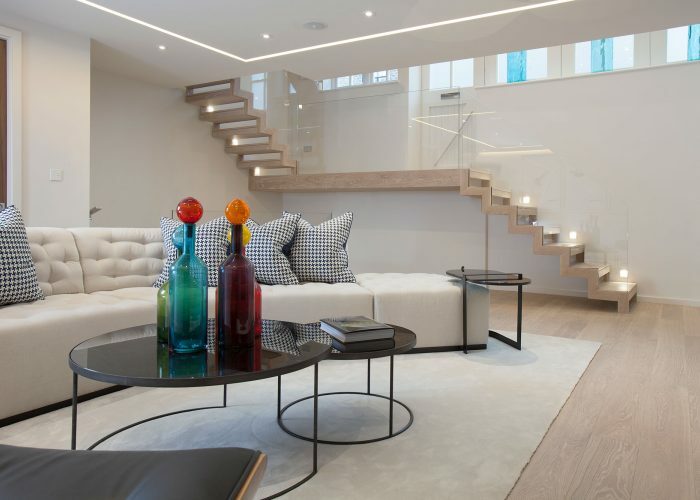 Luxury fabrics and vibrant colours set the tone in the show-home (fully furnished & dressed by CNID) for a fully contemporary scheme. 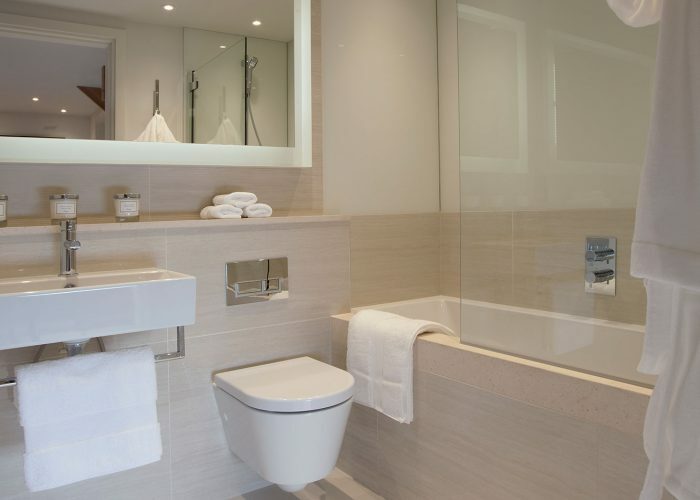 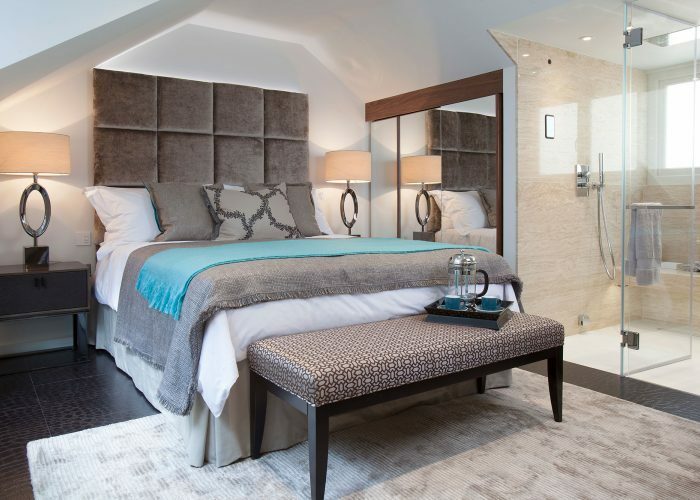 With Lutron lighting & audio function built in throughout most needs are catered for with little touches of luxury in the steam shower, stone walls & leather flooring featured in the master suite.